← Kein „Aber” – zerstört sie einfach! I have to fulfill my promise made in a previous column – about formulating, or offering, or trying to offer… at least some plausible ideas about what to do to dump Tobacco Control to the outside. I’m afraid here I’ll have to say the obvious things, something that every smoker or every non-smoking, but reasonable person already knows. I’ve witnessed that situation so many times – when some ideas are already clear to a lot of people, they are kinda hovering in the air. And then somebody says the right words, and everyone around sigh in wonder: this is it, at last. We knew it all along. So we need, first and foremost, the right words. That’s the way to start. Gladly do I attribute this idea to the man I admire, the tobacco blogger Frank Davis from England. He’s been writing his posts about the British and other smoking bans EVERY DAY since 2007, and thus have become a respected philosopher, a heroic fighter and opinion leader for many. “I often complain (Frank said once) about the way most smokers never complain about smoking bans. But there may be a very simple reason for this, which I have only just stumbled across, which is that they don’t know how to talk about them. They’re lost for words”. “So, let’s give them these words” – that was my response to his post. All right, so right now I’m trying to do exactly that, to the best of my abilities. And I’ll be only too glad if you, my reader, do it better. Tobacco Control has to be destroyed. Completely. The creeping anti-tobacco campaign it totally immoral and intolerable. It murders societies and makes people hate each other. It has to be left behind, just like the Prohibition and eugenic disasters before it. There can be no compromise with this false and evil ideology. Anyone associated with it should know that the scam has failed and now has to go. They lie, they brainwash people, they drive people mad with imagined horrors of second-hand smoking, and all that – without any scientific base. They abuse science, they corrupt medical profession, once so respected. They deceive miserable people whom they draft into their ranks of smokers-harrassers. They openly proclaim their policy of making life of more than a billion smokers miserable and intolerable. And they’ll pay for it. Smoker’s biggest mistake so far was their meek acceptance of their imaginary guilt. Guilt about “harming other people”, guilt about “harming themselves”. As a result, look at almost all of these feeble attempts of calling TC to dialogue: “we are not saying that smoking is totally harmless, but…” That’s how we fail. That’s how we surrender to utter bastards even before the fight. These “but’s” are all they wait for to snub and harass us, on and on. No more “but’s”. Just smash the Tobacco Control inhuman ideology first, and then we’ll see what is harmful and what is harmless.We – smokers and non-smokers – will stay and talk to each other. While TC will have to go. We, smokers, are not poisoning anyone, TC has failed to prove any harm from second-hand smoking, and they know it. We are not going to apologize to anyone, hide from anyone or say, meekly, “sorry, I smoke”. Let the TC liars be sorry for poisoning so many minds. A lot of events may happen, started by proper words – like a review of TCs fake science (it won’t take long, all the facts are open to the public). Or like an audit of the WHO Framework Convention machinery, on the subject of who finances it and what it really is. But, before that happens, here and now I have some more words to those who got themselves entangled into that murderous anti-smoking campaign. To celebrities and politicians, and especially to media people. I know that no one can change your thinking overnight, not by any bulk of facts. People do not change that fast, so I’m not even trying it. But I do want you to let your curiosity take over for a while. Try to look at what the other side – us – is saying and what facts it possesses. 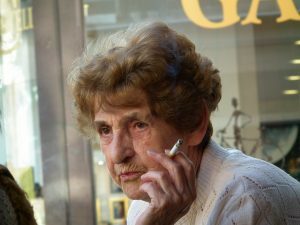 And by all means try to admit the obvious – that there is the other side in the smoking debate, and will always be. You’ll be inevitably told that it’s “the industry” (the tobacco monsters, of course) that pays for all these wrong facts. Well, if so, you may want to learn which industry pays for all the junk anti-smoking science they are trying to heap on you. Do it just for fun – after all, you do have to know exactly what these bad smoking people are using as their despicable tool. And then, later, we may talk or maybe we won’t. Mind you, the whole TC ideology would be totally criminal even if it was based on solid science. You cannot demonize people around you just because they smoke. You cannot consciously try, step by step, to make life unbearable to those who smoke – hundreds of millions of people – to make them outcasts and proclaim them miserable addicts. That kind of tactics would be unpardonable even based on true facts. But being based on lies and half truths, that ideology looks much worse. And it has to be driven to outdoors. Precisely. The anti-smoking diatribes are not new. They are but another manifestation of cultural ‘elites’ attempting to bend the common people to their will, based on the elites’ self-ascribed moral authority. It was originally described as anthropogenic global warming, but its adherents have been forced to relabel it for a very simple reason: THERE HAS BEEN NO WARMING. No matter, to the alarmists of AGM. It is all about controlling the ‘narrative’, which is all that matters to these post-modernists, for whom objective facts do not exist. It’s the same for anti-smoking and for everything else you listed. Until it is more widely acknowledged that objective fact is unassailable, and that individual sovereignty must be respected above all else, we will continue to experience this persecution. And this acknowledgement must begin with those persecuted, who must rise up against the effete self-styled intellectuals who have deemed themselves the arbiters of proper behavior. As I have noted previously, I believe this is already underway, with the vote for Brexit and the election of Trump. I am optimistic that the pendulum is beginning to swing in the right direction. Active resistance and political opposition to new smoking bans and calls to roll back indoors smoking bans and punitive tobacco taxes are needed now. I suggested comparing them to parasitic insects and animals and sending these photos with the Latin name for each creature just beside their own photo.